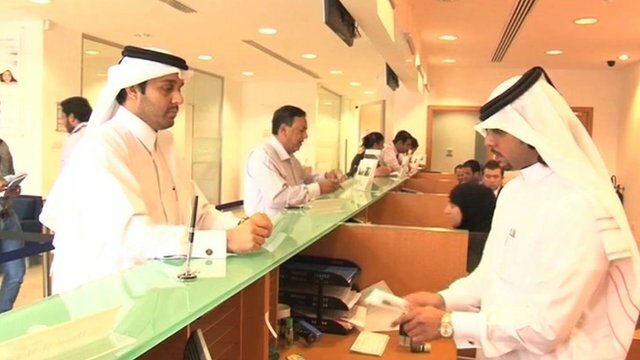 Qatar raises public sector salaries by 60% Jump to media player The Qatari government has raised public sector salaries by 60% - but why? Qatar looks for growth from education Jump to media player The Gulf state of Qatar has just played host to a major global summit to explore improving education and promoting wider economic development. Qatar's small business boom Jump to media player Qatar's economy is forecast to grow by a massive 20% in 2011, with small businesses playing a key role. 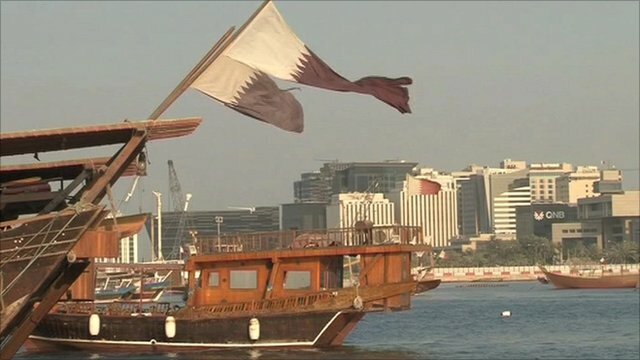 Qatar increases regional influence Jump to media player Qatar is one of the smallest countries in the region, but it has played one of the biggest roles in the Arab Uprising this year. The tiny Gulf state of Qatar is the richest country in the world and its citizens enjoy a GDP per capita of $88,000. But even by Qatar's standards, a recent decision by the Qatari government to raise public sector salaries by 60%, is seen as extravagant. Stephanie Hancock reports from Doha.